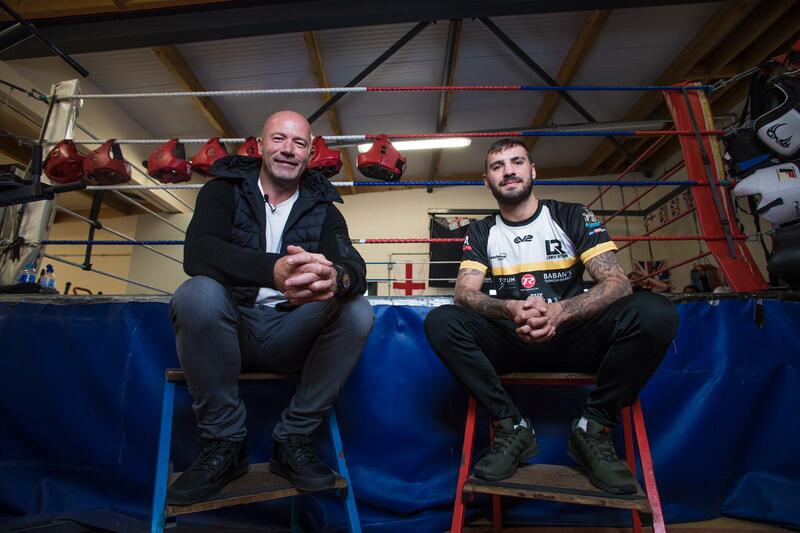 Alan Shearer is backing Lewis Ritson to go all the way to the top – and the Newcastle United legend hopes the Lightweight sensation follows his path and packs St. James’ Park for a big fight night. A star-struck Toon Army mad Ritson met the number nine idol in the build up to his European title clash with Francesco Patera on Saturday night (October 13) and the ‘Sandman’ has sold the Metro Radio Arena out after packing it to the rafters for the first time in June when he destroyed Paul Hyland Jr in a round to win the British title outright. Gallowgate favourite Shearer knows all about the fanatical support in Newcastle after banging in 206 goals in ten seasons for his boyhood club, and he believes that the fans will soon be roaring him to World title honours on the hallowed turf. “This will be my first ever fight that I’m attending so there’s no pressure for Lewis!” said Shearer. “The fans are incredible up in Newcastle. If he keeps on winning then a fight a St James’ Park could happen as Lewis dreams of. “That buzz when you walk out at St. James’ is special. I never really used to hear the singing on the pitch during the game, when you walked out the atmosphere was loud and that’s when I used to soak it all in but when that whistle went it was game time and I was zoned in. “I used to stand on the terraces as a fan so to walk out and score in front of your own people is that bit more special. That’s the same for Lewis, but he’s knocking people out! Shearer and Ritson have a common thread having both played for famed kids’ team Wallsend Boys as kids, and the hitman-turned-pundit thinks the club has played a part in his success – and along with his close bond with his trainer father, could help him stay at the top when he’s there. “When I was a young boy playing at Wallsend Boys club it taught me a lot. Lewis played there as well and some of that discipline will have no doubt rubbed off on to his game. “Having his Dad standing there in the corner for each fight must be a proud feeling for the both of them. “What I would say to Lewis is the easy part is getting to the top, but the hard part is staying there. He’ll have the money, house, holidays and car. The opponents will know more about him and the level is only going to get tougher. It’s not easy and he’ll have to probably come through some tricky moments but he’s got a great team around him. Ritson vs. Patera tops a huge night of action in Newcastle as rising Light-Heavyweight star Joshua Buatsi makes the first defence of his WBA International belt against Frenchman Tony Averlant, Liverpool’s Robbie Davies Jnr faces Sunderland’s Glenn Foot for the British and Commonwealth Super-Lightweight titles, Doncaster Heavyweight David Allen is gunning for another huge KO when he takes on Samir Nebo and Cruiserweights Simon Vallily and Craig Glover meet over ten rounds. 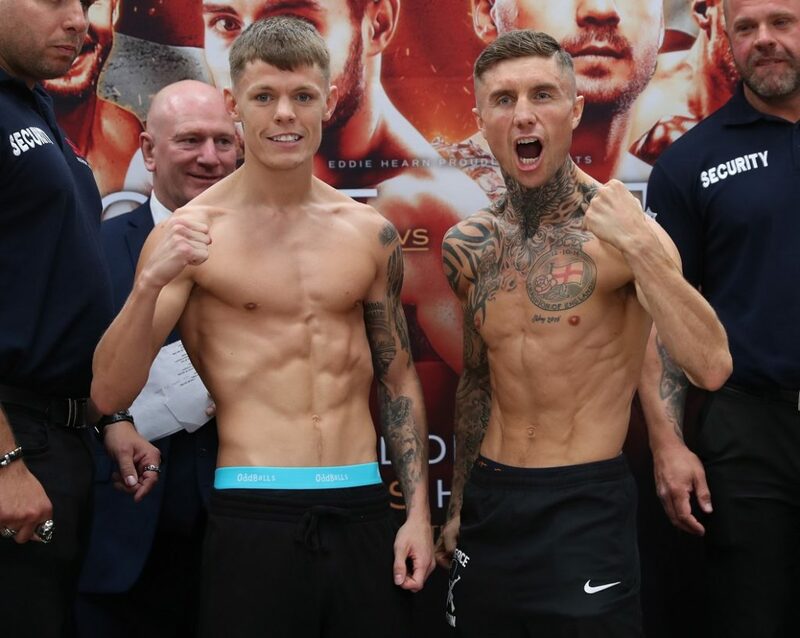 There’s action elsewhere on the card from IBF European Super-Bantamweight Champion Thomas Patrick Ward, fast-rising Liverpool Welterweight Anthony Fowler, Newcastle Cruiserweight Lawrence Osueke, popular Benwell Super-Welterweight Joseph Laws, Spennymoor Welterweight Chad Ellis, Manchester Light-Heavyweight Hosea Burton, Newcastle Super-Lightweight Terry Wilkinson, Bedlington Lightweight Darren Reay and the professional debut of Scottish Super-Middleweight talent John Docherty. David Allen says he needs to beat Samir Nebo in “devastating fashion” if he is to set up a showdown with former WBA Heavyweight ruler Lucas Browne at the end of the year. ‘White Rhino’ returns to action this Saturday at the Metro Radio Arena in Newcastle, live on Sky Sports in the UK and DAZN in the US, as he takes on the Germany-based Syrian on the undercard of Lewis Ritson’s European title fight against Francesco Patera. Nebo has only two losses in 13 fights, with all of his wins coming by knockout, but Doncaster’s Allen is confident he can defeat Nebo in a similar style to his brutal stoppage of Nick Webb at The O2 in July. “I’m going to get Nebo on the hook, and I’m going to smash him,” said Allen. “I will never win another fight on points. None of them will go the distance ever again. I fully anticipate knocking out Samir Nebo inside four rounds. Allen is eager to take on Australia’s Browne in December if he gets a win in Newcastle and believes a fight with the former World Champion would be another entertaining encounter for his fans. The potential match-up has been gaining momentum on social media in recent weeks with the pair calling each other out on Twitter. “He’s old enough to be my dad, but Lucas Browne is a tough, strong, powerful man. I think if the fight happens next, it will be at the right time for me. I’m young, fresh, and I’m coming through. Ritson vs. Patera tops a huge night of action in Newcastle as rising Light-Heavyweight star Joshua Buatsi makes the first defence of his WBA International belt against Frenchman Tony Averlant, Liverpool’s Robbie Davies Jnr faces Sunderland’s Glenn Foot for the British and Commonwealth Super-Lightweight titles and Cruiserweights Simon Vallily and Craig Glover meet over ten rounds. A very limited number of tickets are available to purchase from www.metroradioarena.co.uk. “Good afternoon everyone and thanks for coming along to the press conference to announce our second Newcastle show, October 13 at the arena, following a wonderful experience last time out when Lewis Ritson won the British title outright. This press conference will be streamed live around the World on our social channels, it’s nice and busy in here today so make sure you make loads of noise for the fighters and show everyone what a great city this is. “Before we talk to the guys, I just want to say thank you, not just for coming today, but for what you created last time out at the arena. We do shows all over the World but you can’t ignore or fail to embrace the passion when you go to certain places. Last time out when Lewis Ritson ring-walked it was unexpected. We knew he sold a load of tickets but what happened during that ring-walk, what happened during those ring announcements, what happened during the performance and after it was something that you rarely see. It’s like the emergence of a new powerhouse for British boxing in the North East and Newcastle. I will honestly never forget that experience and I don’t think Lewis will either. “Now the journey really gets interesting. You go from British title level onto European title level, in the hope to achieve a World title opportunity. We know where we’re at, the feet are on the ground and there’s a long way to go. With you lot behind him, he has every opportunity. He’s going to get the opportunities for big fights, this is a whole new level to where he has operated before. “I just want to thank everyone for coming out for the press conference, it is a great turnout. I can’t wait to get in there again. I’ve already been training hard for weeks now. I’m ready to do some business. “It was Tatli, Petit or Patera and me and my dad sat down and we didn’t think there was much between the three of them. I think they are all pretty similar so it doesn’t matter who we get in with, we always say yes. We’ve got our opponent and we’re ready to go. “We’re expecting to be in for the long haul on the night, that’s what we train for. We’ll be ready for everything on the night. The atmosphere was very special last time out, the support we get is brilliant, this time the atmosphere will be bigger and better. “Thank you Eddie for having me here, I am very excited. I was very happy when I got the offer to fight Lewis. I saw Lewis from one year ago and I always thought ‘I want to fight this guy’. I know I have the ability to beat him. He is a really tough fighter, he comes forward, I’m a hard worker too and it will be a great fight on October 13. “I’d like to thank Eddie for getting me back on the shows, I started to think that it was never going to happen. This really is a pick’em fight. You’ve got Glenn’s aggression and physical strength against my speed and power. I’ve got everyone down in my neck of the woods backing me. It really is going to be one of them fights where neither of us will need to go looking for each-other. “I’m very excited. It’s a brilliant show. I’m really looking forward to Davies Jr vs. Foot. I’ve boxed in Newcastle before twice. We’ll hopefully have a good opponent for October 13. I’m really excited to be in Newcastle. 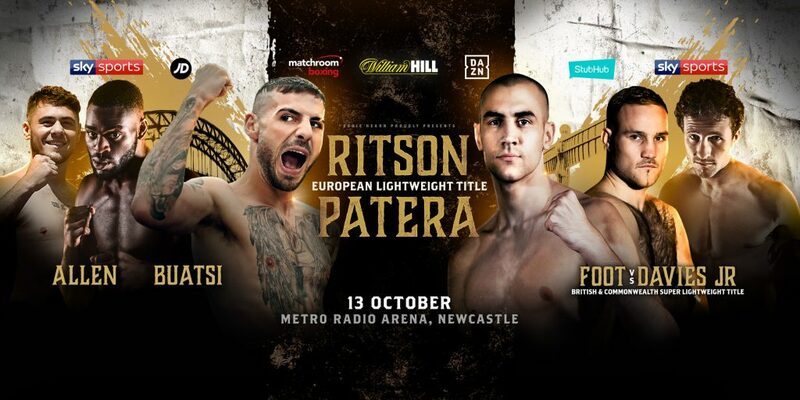 Lewis Ritson will face Francesco Patera for the Vacant EBU European Lightweight title at Metro Radio Arena Newcastle on October 13, live on Sky Sports. ‘The Sandman’ won the British Lightweight title outright by defeating the previously unbeaten challenger Paul Hyland Jr at the Metro Radio Arena in June and is predicting another destructive performance against Patera in October. Patera is no stranger to fighting on these shores, having lost a close decision to Birkenhead hardman Sean ‘Masher’ Dodd for the WBC International title in 2016. He went on to beat Finland’s Edis Tatli to win the European title in May 2017 before losing out in a rematch later that year. Ritson gets his shot at European honours after Tatli decided to vacate his belt. “I’ve dealt with all the top operators at domestic level and now it’s time to announce myself on the European stage,” said Ritson. “I’m feeling unstoppable right now and I’m ready to take on anyone that gets put in front of me. The Metro Radio Arena is my fortress and nobody is beating me in my backyard. The noise my fans make inside the arena is incredible, it’s like there’s two of me in the ring! “Patera has held the European belt so we know that he poses a real threat and I’ll have to be at my best to get past him. I’ve been told there’s not much between Patera and Tatli in terms of ability and style. Patera looks big at the weight and is a busy fighter, I’m expecting an exciting fight. 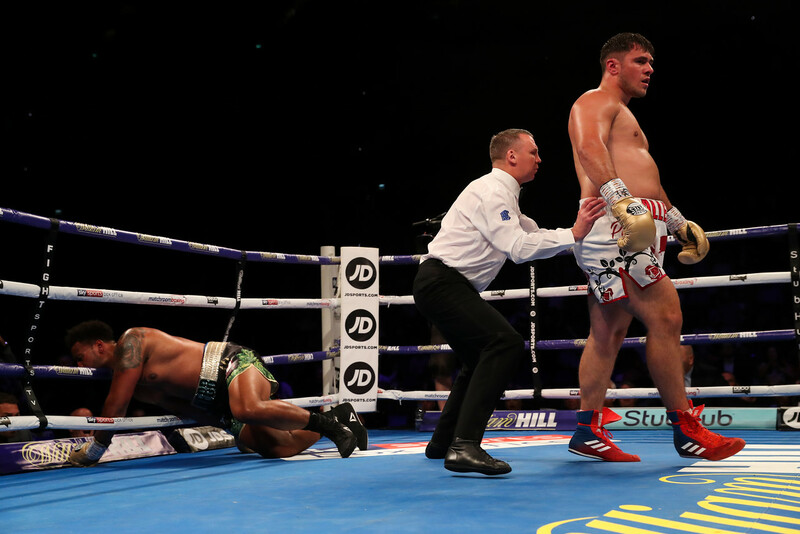 “I was completely blown away with what I saw both in and out of the ring last time we were in Newcastle,” said promoter Eddie Hearn. 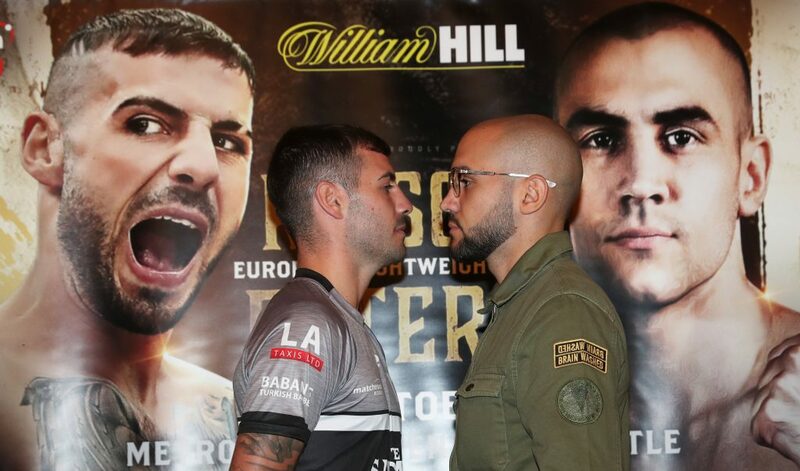 “Lewis Ritson has fast become one of the most popular and exciting fighters in British boxing and now he gets an opportunity to challenge for a European title. He has cleared up domestically and this is the next step. Ritson vs. Patera tops a huge night of action in Newcastle as rising Light-Heavyweight star Joshua Buatsi makes the first defence of his WBA International belt that he won at The O2 in July, Liverpool’s Robbie Davies Jnr faces Sunderland’s Glenn Foot for the British and Commonwealth Super-Lightweight titles, Heavyweight fan favourite David Allen returns after his ‘life-changing’ win over Nick Webb and Cruiserweights Simon Vallily and Craig Glover meet over ten rounds. There’s action elsewhere on the card from IBF European Super-Bantamweight Champion Thomas Patrick Ward, Newcastle Cruiserweight Lawrence Osueke and Benwell Super-Welterweight Joseph Laws. Tickets are priced £40, £60, £80, £100 and £200 VIP and are available to Matchroom Fight Pass members NOW from www.stubhub.co.uk. Tickets go on General Sale at 11.00am on Wednesday August 29 from www.metroradioarena.co.uk. 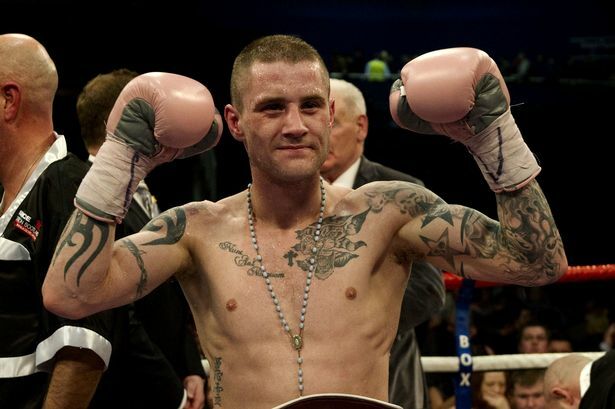 Ricky Burns laces them up for the 50th time on Saturday night at the Metro Radio Arena in Newcastle, live on Sky Sports – and the Scottish boxing hero says that there are plenty more great nights left in the tank. Burns created history by becoming Scotland’s first three-weight World champion in May 2016 when he added Super-Lightweight glory to his Super-Featherweight and Lightweight titles by stopping Michele Di Rocco for the WBA title in Glasgow. The ‘Rickster’ still harbours dreams of fighting for World titles again and as he prepares to fight in the North East, a rematch with Anthony Crolla is top of a list of fights he wants as he writes new chapters in his fantastic journey. “The Ricky Burns story is not finished just yet,” said Burns. “I’ve got no regrets in my career, I’ve lived it. I’m proud to say I’m a three weight World Champion and still think there’s a couple of big fights in me. “That being said, I have a job to do on Saturday night for those to come to fruition. I’ve never boxed in Newcastle before so am looking forward to the atmosphere. Lewis Ritson is doing wonderfully well, I’ve enjoyed watching his recent rise. We had him in for sparring a while ago and I remember telling Eddie he should sign him. When I started off I didn’t really have any burning desires, it was just taking things one fight at a time. I remember the blonde hair on my debut in particular and waiting by the entrance ready to walk to fight Woody Greenway. I just wanted to establish my jab and get the first one out of the way. Audley Harrison just turned over from the Olympics and was on the card so there was quite a bit of media attention. I boxed on quite a few Scott Harrison and Alex Arthur undercards from there, then I got a late call to fight Graham Earl in my 10th fight, I was originally down to fight someone called Stevie Murray I think it was and didn’t bat an eye lid when they offered me that fight on two weeks’ notice. I was there as a bit of a stepping stone for Earl but I was confident in my own ability and showed I can box off the back foot effectively. He was the reigning British Champion at the time and despite it only being an eight rounder it catapulted me to that next level. The Arthur fight was brewing by this point. I had sparred with Alex before, so sort of knew what to expect. Did it come too soon? Perhaps, but on the bigger picture it was a good learning fight for me. It was my first twelve rounder for starters and my first title fight, it was all experience. There was some talk of a rematch but we never got around to agreeing it with the weight. The Carl Johanneson fight was a bit of a nightmare all round. I had ate something that didn’t agree with me in the 24 hours or so leading up to the fight, that’s not an excuse but it had a huge bearing on the fight. I remember someone from the board suggesting I shouldn’t take the fight, but there was too much riding on it and I had large support. He obviously got to me with some body shots, I was struggling in there and it was just one to forget all together. After that I switched trainers from Rab Bannen to Billy Nelson. I had some time off in between then was quite busy, boxing on the small halls to get back into contention and build some momentum. We won and defended the Commonwealth title then it was the Michael Gomez fight. He was the first fight I had where my opponent really played up with some pre-fight antics. He was in my face at the weigh-in and said some unsavoury things so I really, really wanted to do a number on him. If the ref hadn’t have jumped in to stop the fight when he did, I’d have still been there drilling him on the ropes. That one meant a lot, it was a great atmosphere in there. The Roman Martinez fight was one that had been in the pipeline for some time. There was talks and it didn’t get over the line, but then it was on so we had studied him quite a bit knowing it was likely to eventually happen. We knew Martinez was a bit of a banger and it showed in the first round, but I got back to the gameplan, the longer it went I got into my grove and it was truly a night to remember. I was the underdog going in and was overwhelmed after. There was a bit of talk before the Nicky Cook fight that he was struggling with some form of injury, so the game plan was to test him to the body early. It was a strange one how it all unfolded and I felt a bit bad for the fans who had paid their hard earned cash to see a proper fight but what can you do? I was done at the weight after the Cook fight, I said to Billy I wanted to move up. The Michael Katsidis fight was a war of attrition. I proved a lot of people wrong that night. Marquez I think was the full Champion and I ended up getting elevated after winning the Interim title in that fight. That one did not disappoint, Michael is a true warrior. The Kevin Mitchell fight was talked about for a long time. We had sparred and got on and since obviously become pals in Tony Sims’ gym but at the time I really wanted to do a number on him. I was almost dismissed in the fight and felt like I had a real point to prove. It was another top night in Glasgow and a conclusive victory for me. I switched promoters and had some issues outside the ring that definitely affected me mentally and that showed in the next couple of fights because I was below par. I still get reminded of the broken jaw in the Ray Beltran fight to this day, I can’t believe looking back how I got through that. I’d say my toughness is one of my biggest traits and it showed there. It’s a cliché you’ve got to bite down on your gumshield at times and grit it out, that was one of those moments. Terence Crawford is a class act, he was confident all week and now you can see why. He’s just gone on to win his third World title after becoming the first undisputed Champion in a long while. The angles, his timing, his footwork, you’ve just got to take your hat off to him and say he’s a real talent. I’d love to see him fight Spence, that’s one of the best fights out there to be made. The Dejan Zlaticanin defeat probably hurt more than losing my World title. We had a lot going on out of the ring, Amanda went into labour just before the fight, we were just moving house and everything else that was well publicised. I got caught cold in the first round and totally went against my trainer’s instructions. It just slipped away in the end and I remember being really upset in the changing room after. The Omar Figueroa fight in Texas was an experience, it’s my only fight out in the States to date and with Matchroom’s new U.S venture I’d like to get back out there if the right fight came up. Figueroa obviously failed the weight and I remember being in the hotel afterwards and some bloke came up to me, I thought it was his brother at first but it was Omar – He looked like a different bloke after he rehydrated, I’ve never seen anyone transform as much as that. He apologised for missing the weight and we agreed to carry on, it was a remarkable turnaround because he looked dead at the weight. He really hurt me in the 11th but I had some success in the last round, he said after the fight another minute or two and he would have struggled to see the fight out but there you go. We made history with the Di Rocco win, that was a proud moment. I wasn’t to be denied on that night. People were writing me off, saying I should retire but again I showed people otherwise. I think he was struggling at the weight to be honest and I got to him eventually. The scenes that followed will stay with me for a while and it was a proud moment. 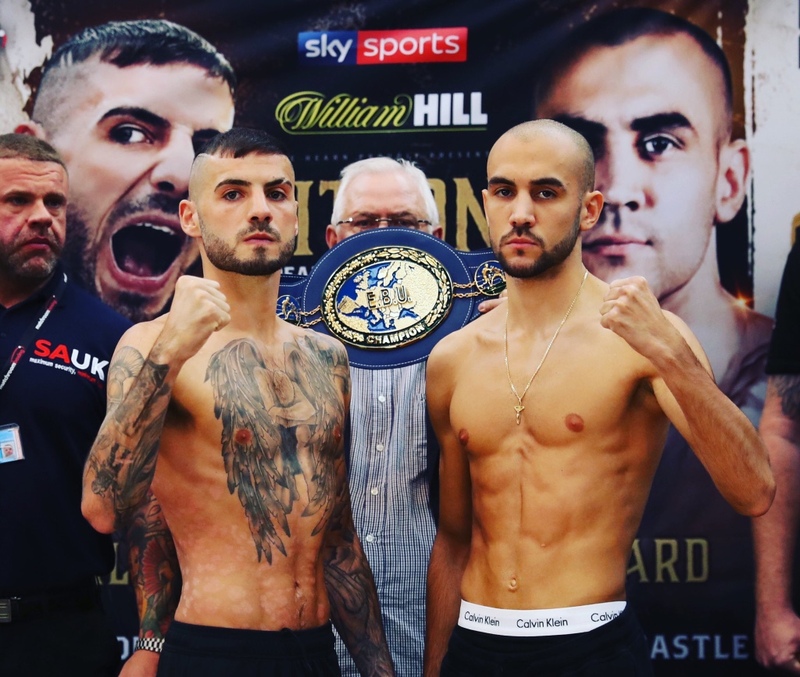 Burns’ 50th fight is part of a huge night of action in Newcastle as Lewis Ritson defends his British Lightweight title against Paul Hyland Jnr and Josh Kelly challenges Kris George for the Commonwealth Welterweight title. Face value tickets for June 16 are available from http://www.stubhub.co.uk/matchroom-boxing-tickets/ . StubHub is the official ticket partner and marketplace of Matchroom Boxing and Anthony Joshua.